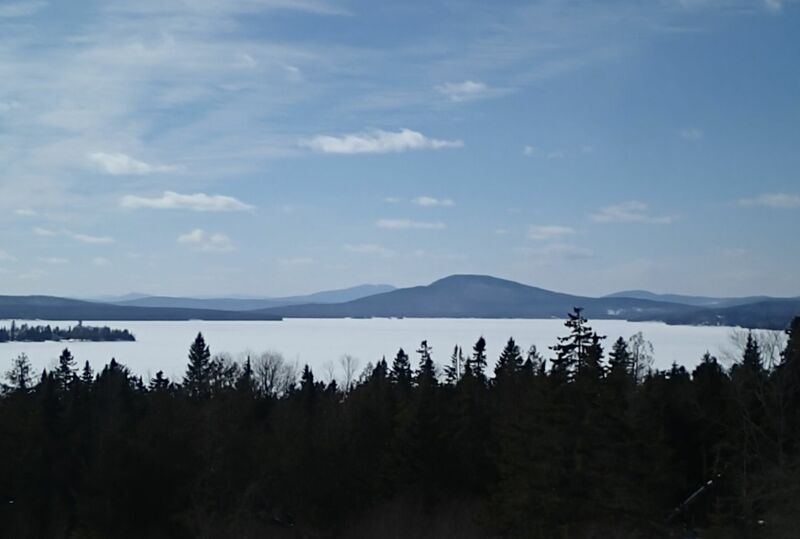 Reconnaissance in Rangeley ! | Vermont Paddle Pups! Yes, most folks around here head south to escape the temperatures below zero, blowing snow and brutal winds. This winter has seen a plethora of days with such conditions, so we have been optimistically thinking of warmer days ahead, and planning for summer canoe camping excursions. 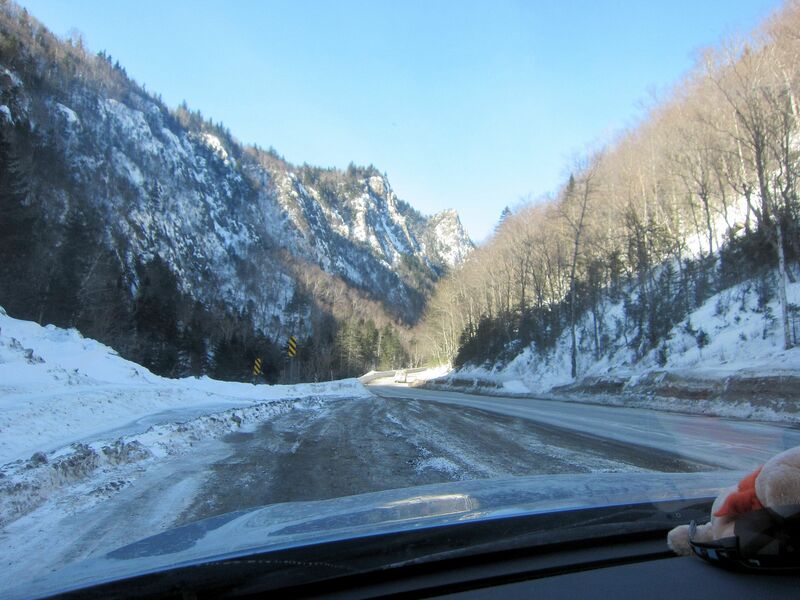 Recently we left behind the cold of Vermont….for the even colder conditions in the mountains of Western Maine. We brought along X-C skis, the kicksled, snowshoes, micro-spikes, and lots of warm technical clothing. Our plan—have fun with the dogs while we scope out Cupsuptic Lake, Aziscohos Lake, Mooselookmeguntic Lake, and many other prospective summer sites . 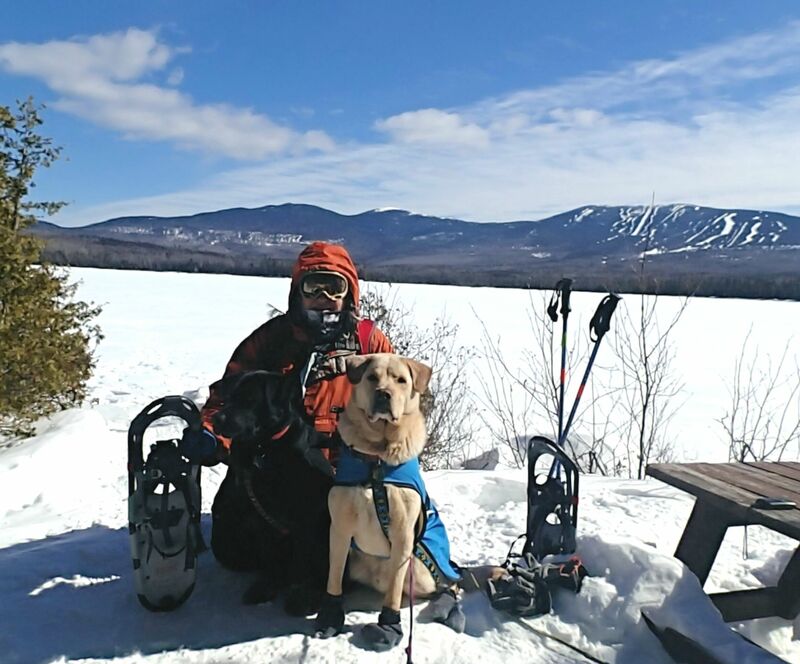 We found the lakes ( very frozen,snow covered, and tracked by snow-machines…perfect for kick-sledding), some really nice hiking spots, a lovely dog friendly X-C center, and a waterfront hotel that welcomes dogs! So, despite the bitter temperatures that restricted some of our activities, we had a successful excursion. Next time we head over, the Swift Kipawa will be on the roof! We had hot cocoa at Picnic Point, on Saddleback Lake–a beautiful and peaceful spot! 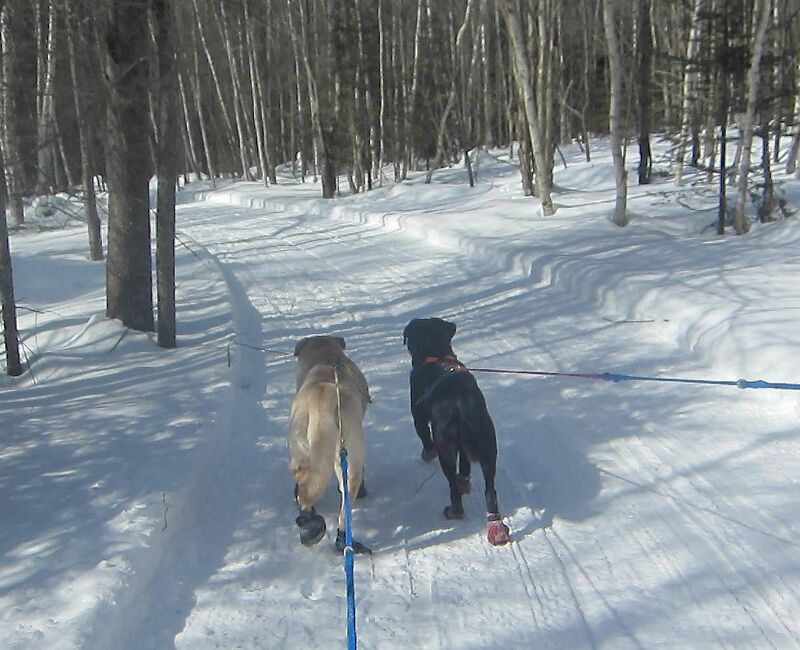 Beautiful trails…but a bit too firm for skijoring, at an unfamiliar area. 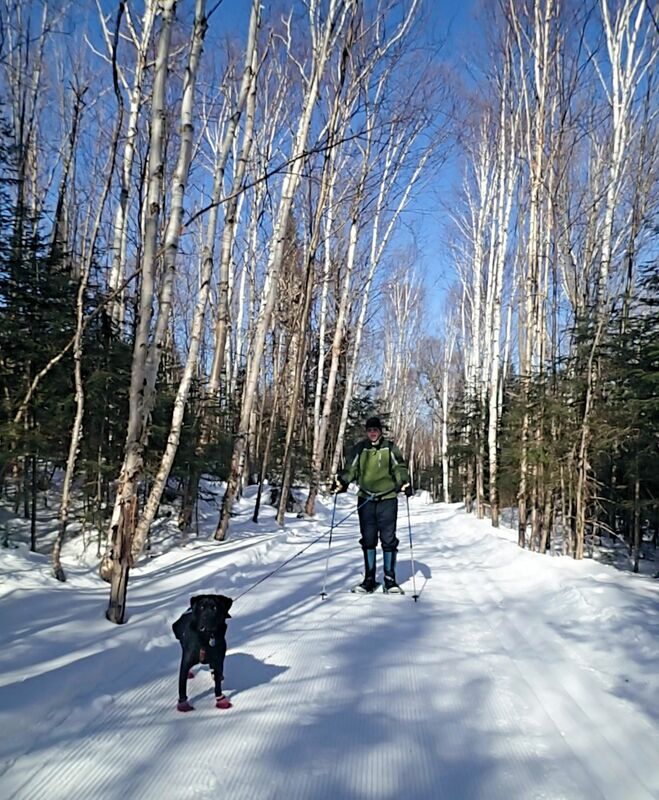 ( The staff made us wear snowshoes on the groomed trails). We had the place to ourselves! 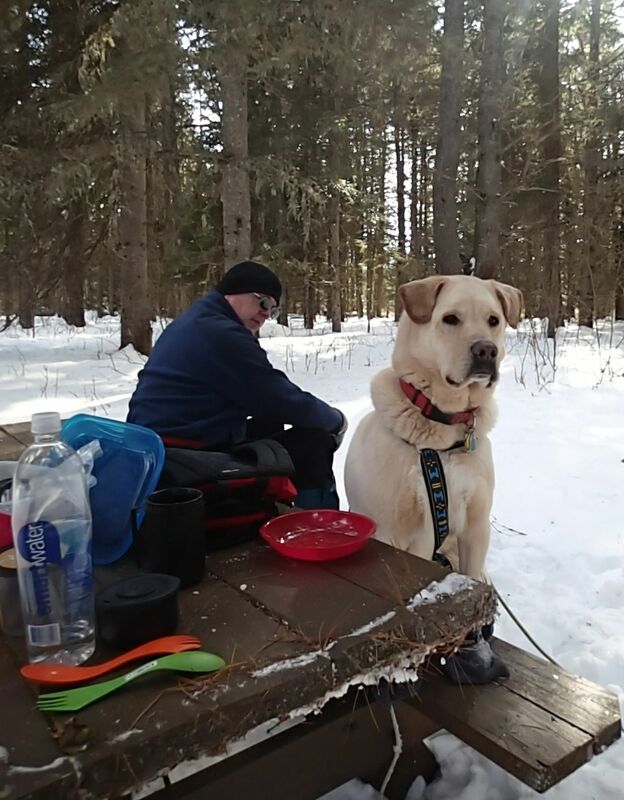 Gryphon is waiting for his trailside lunch..no hot chili for him, just Buddy Biscuits! 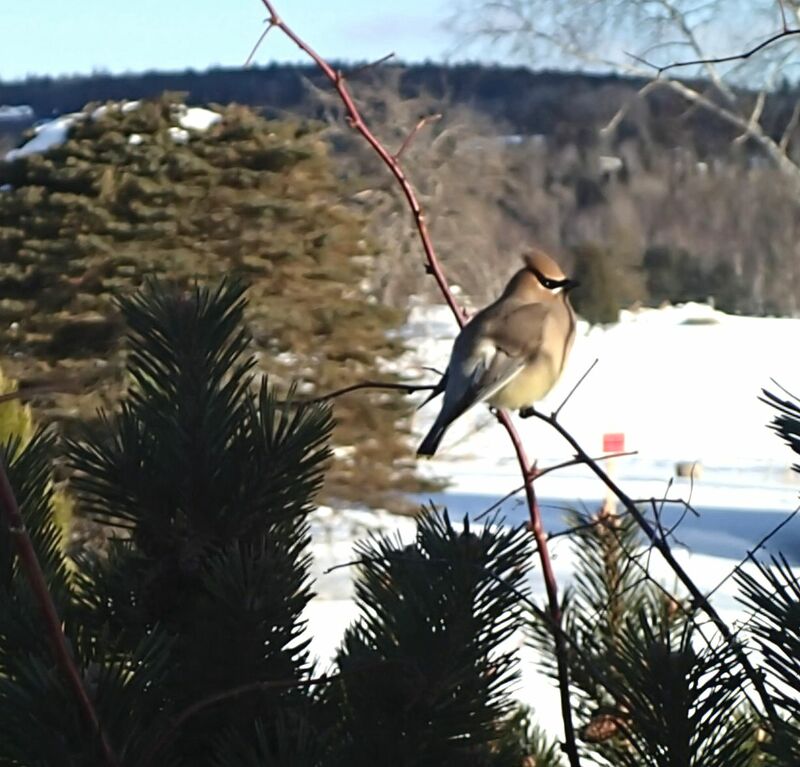 Outside our motel room..a lovely , hardy, Cedar Waxwing enjoying the sun. 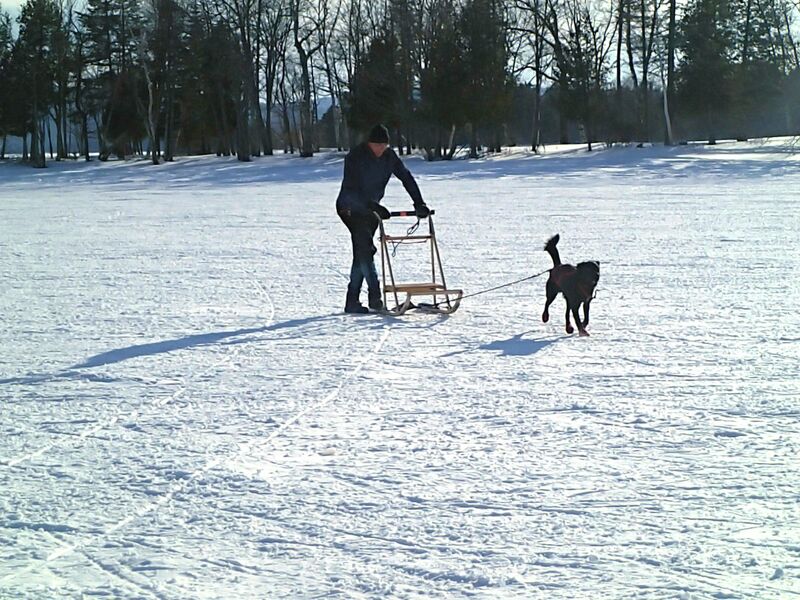 Edgar could really run, across the frozen snow on Rangeley Lake. We stopped for a hike on the way home..NorthWoods Stewardship Center. Sunny , but still cold. 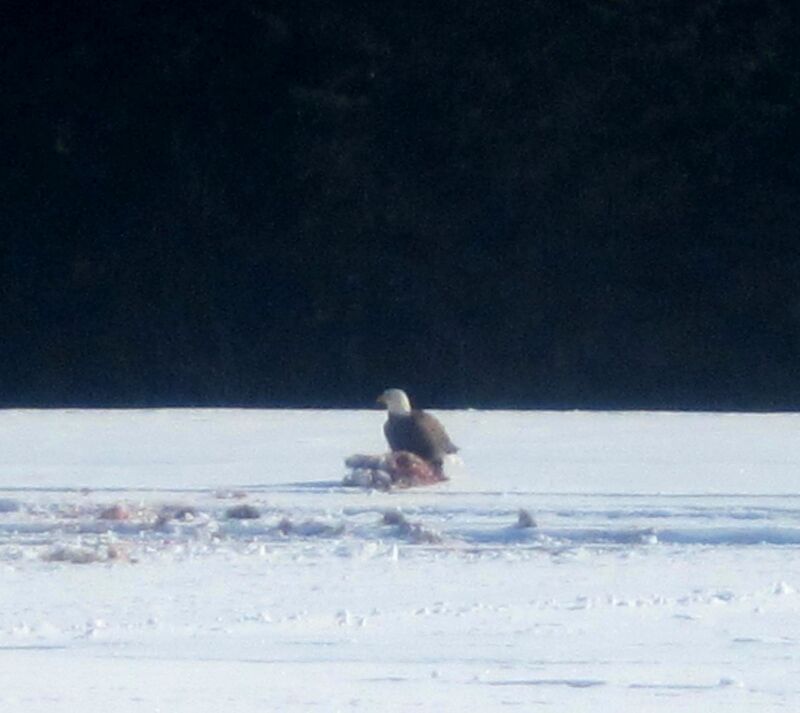 On the way home, we saw a pair of Bald Eagles…one was munching on his lunch, about 75 yards from the road. So many lakes, the Northern Forest Canoe Trail, mountains, islands…really looking forward to a return visit!